Sakura season is upon us! 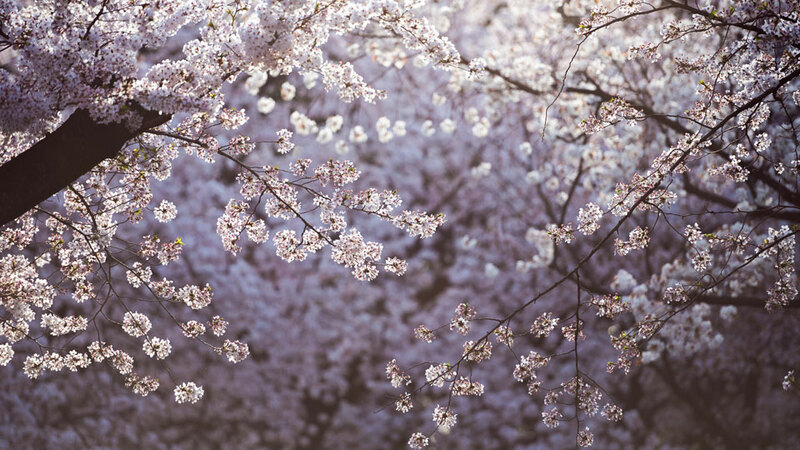 And with luck, the weather will be sunny with no chance of rain and a high chance of insobriety as the whole of Tokyo picnics and drinks under the cherry trees. But we are photographers, always sober as judge, so that is not for us. We are here to capture the gorgeous blossoms in our little cameras and keep them safe for innocent consumption at home. 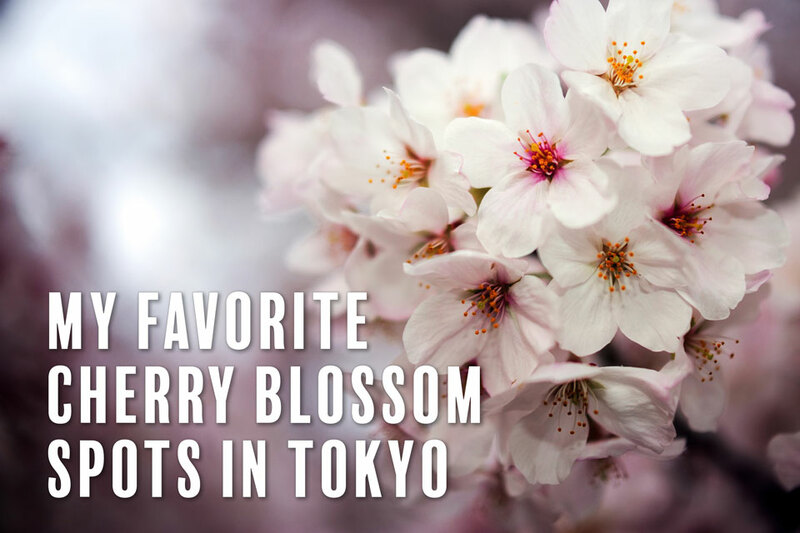 To that end, I would like to share with you my favorite spots for cherry blossom photography in Tokyo. 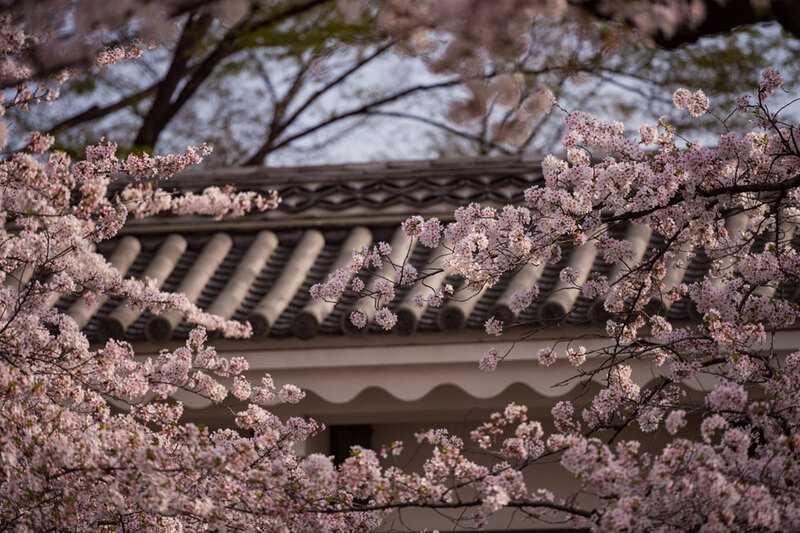 But just before that, I want to get out of the way some of the most famous and popular spots that are not on my list, just before I hear you say “but Lukasz what about…” Yes, of course there is Ueno Park with its broad avenues lined with Sakura. There is also Shinjuku Gyoen, a lovely and well-manicured garden that is a veritable cherry blossom utopia. Also, let’s not forget Naka-Meguro and its stretch of the Meguro river, flanked by charry trees for a kilometer stretch. Another local favorite is Shiba-koen, where you can find cherry blossoms juxtaposed against Tokyo Tower. And finally, Yoyogi Park, just a stone’s throw away from Harajuku and Shibuya. All of these are great locations, but they are not the ones I will mention below. So, on to my little list. Golden hour and dusk atmosphere setting the stage for beautiful cherry blossoms at Yasukuni Shrine. 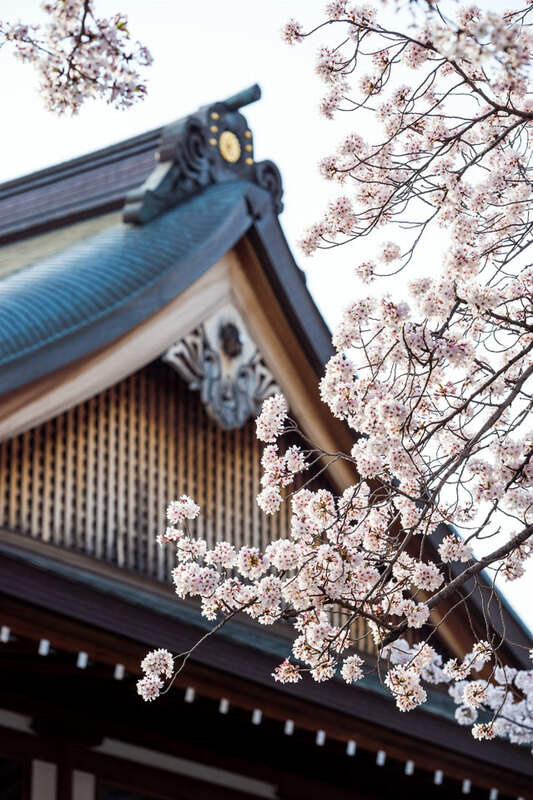 No secret to the locals, Yasukuni Shrine is a cherry blossom hotspot. The main approach to the shrine is a very lengthy and broad boulevard chocked full of cherry trees. And in the spring time, there are usually food vendors and pop up restaurants to cater to the masses of people. But the best sakura trees are in the shrine’s main sanctum. There you can find interesting juxtapositions between the flowers and the shrine itself. Also, head around the main shrine building to find a garden and pond hidden in back. The koi pond makes for some nice photo opportunities as well. The trees are quite tall here, so a long lens is a must. Sakura at the palace gate near Chidorigafuchi during golden hour. Just outside of Yasukuni Shrine, there is Chidorigafuchi, which is a park that lines the outer moat of the imperial palace grounds. Here there are thousands upon thousands of cherry trees, making this a prime viewing spot for the Tokyo populace. Again, the trees can be quite far away so a long lens, say up to 300mm is a must. However, there are some trees whose branches hang low enough that they can be captured with any lens/camera combo. Cherry blossom ‘snow’ at Hie Shrine in Akasaka. There are many beautiful shrines in Tokyo, but Hie Shrine is my favorite, if only because it’s just not usually so crowded. It also boasts a few large and beautiful cherry trees. Though only having a few trees, the shrine itself makes a fantastic environment for photography. The shrine shares its grounds on top of a hill with the smaller, hidden Sanno Shrine whose long entryway of torii gates makes for some fantastic photo opportunities. On its own, Hie Shrine might not be a prime sakura spot, but it’s a very short walk away from two other great locations. A cascade of cherry blossoms at Shimizudani park in Yotsuya. The next is Shimizudani Park, situated between Akasaka-mitsuke station and Yotsuya station. 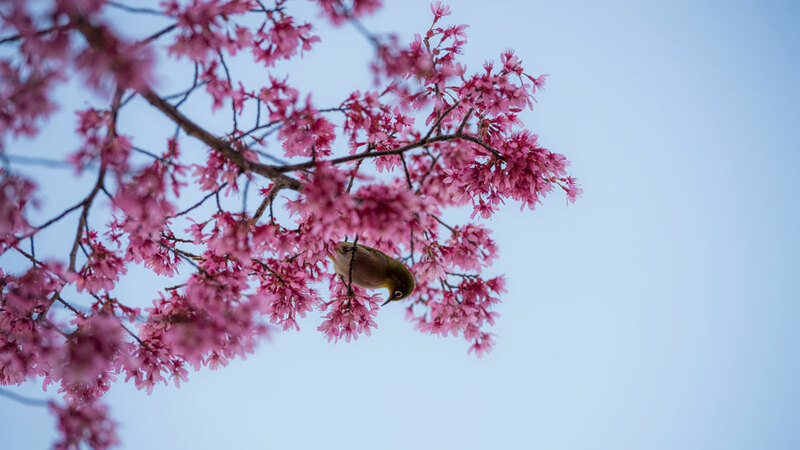 This park also only has a few sakura trees, but it includes some other varieties of flowering trees as well, making for an interesting shooting experience. The trees are quite low, so no special long lenses are needed. Finally, it’s simply a quiet and secluded spot, and you’ll likely be one of the only people or photographers there. A Japanese ‘Mejiro’ at Tennoji temple in Yanaka cemetery. Up in north Tokyo, near Nippori station, there lies a very old cemetery called Yanaka. 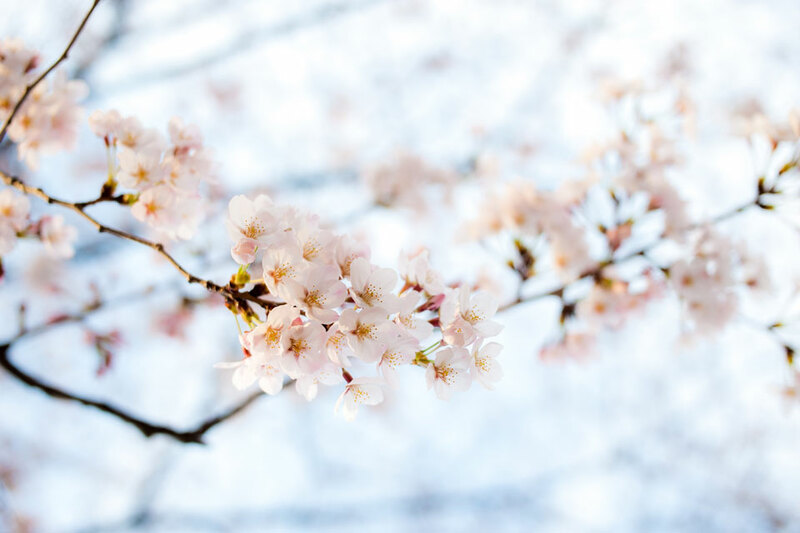 This place is where many Japanese historical figures are buried, and to lend the place beauty and serenity, many cherry trees have been planted. Specifically, there is a temple inside the grounds of the cemetery called Tennoji. 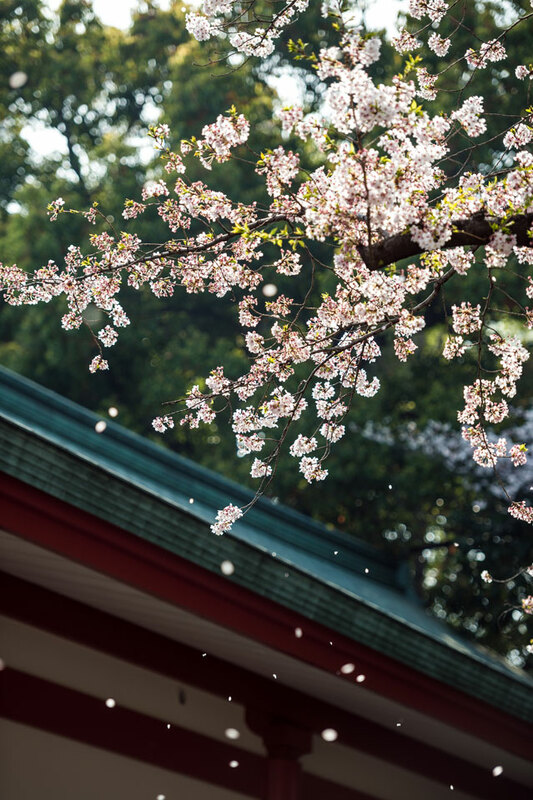 This temple has a few gorgeous sakura trees for your photographic pleasure. Also, I find that in north Tokyo, one is more likely to find interested birds, such as the Mejiro, or Japanese White-Eye, a cute olive-skinned bird with white rings around its eyes. They love hanging around in cherry trees and make for great pictures! However, they will not stand still long and will be high up in the trees, so a long lens and fast autofocus is a must. These little birds also like to hang out in Ueno park. Cherry blossoms in Aoyama cemetery during golden hour. Seeing the pattern here? It seems cemeteries are a haven for cherry trees. Aoyama cemetery is easily my favorite spot for cherry blossom shooting. There are thousands of trees, and so few people hanging around. I guess a cemetery is not an ideal place to have a picnic. The variety of trees is also huge, so you can take home plenty of shots of blossoms that are pinker or whiter, or anything in between. Also, due to the very large size of the cemetery grounds, and the lack of tall buildings in the vicinity, and the fact that it’s situated up on a hill, means that the sun shines into the area late into the day. This makes it an ideal spot to shoot during golden hour. Plenty of sun rays will shrine through the blossoms at interesting angles. There are tall trees and low trees, so most lenses/cameras can do the job, but it’s ideal to come prepared with a telephoto lens. Yasukuni Shrine with cherry blossoms in view shot with a 200mm lens. We don’t have a general “Sakura Tour” on offer on our site. 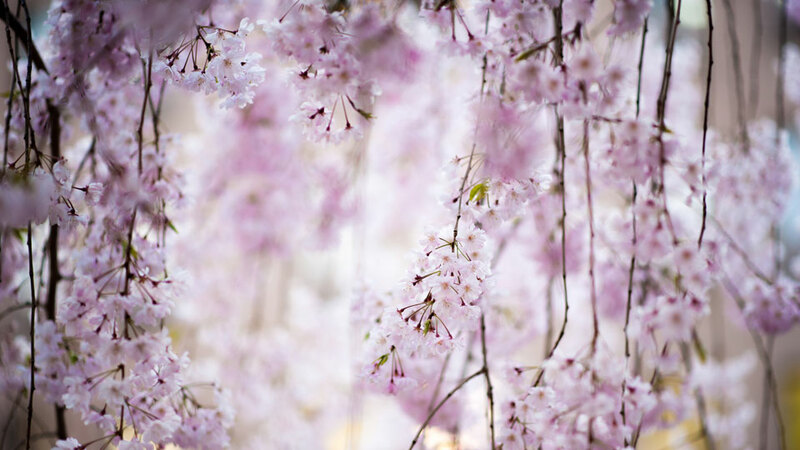 However, we are very happy to customize our workshops in order to maximize the cherry blossom opportunities. 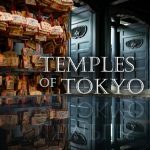 An ideal choice is our Temples of Tokyo workshop. It actually starts at Hie Shrine, and so it would be easy for us to head on a pleasant walk through Shimizudani Park and on to Yotsuya and eventually Yasukuni Shrine and Chidorigafuchi. Finally, we also have our Bespoke Photo Adventures, which can of course be completely customized and centered around sakura shooting. During the 6-hour session in Tokyo it’s possible to visit all of the above-mentioned locations and more! Tell the stories of serene shrines and tranquil temples hidden in the heart of Tokyo.